Archives now! 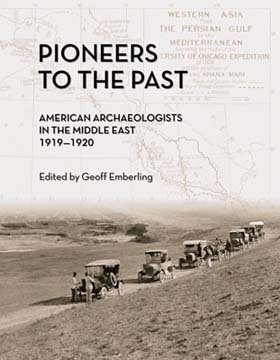 The Oriental Institute of The University of Chicago has just opened an exhibition, Pioneers to the Past: American Archaeologists in the Middle East 1919-20, in a very interesting way. Designed to also focus on the ways archives function, The Oriental Institute enlisted a variety of social media tools to both launch the exhibition and interact with audiences both in the gallery and online. Besides a Twitter feed and a fan page on Facebook, the persona of James Henry Breasted is blogging the 1919-1920 trip to the Near East which is the subject of the exhibit. 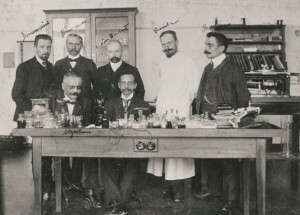 How history is kept, maintained, and distributed is increasingly a subject pondered by archives of all sizes and shapes by the people who use them and new technologies are making archives accessible in unprecedented ways. Currently, the Smithsonian Archives is doing its own re-thinking of its website, giving consideration to both our present and future activities. The tantalizing inscrutability of cultural heritage, especially in the form of photographic images, is one of the most dynamic assets an institution can offer. And increasingly, the idea of an archive—what is kept and how it is used—seems to matter in all kinds of ways. Read Jeff Sandoz’s recent click! piece about an Alzheimer’s patient who makes and uses photographs (an everyday archive in this case) to guard against the effects of Alzheimer’s Disease. The volume of images being produced everyday suggests that we will never be in jeopardy of losing our visual memories. But how these images are saved, tagged, stored, and made accessible to us now and in the future is an interesting question and the current work of archives to answer.